Officially licensed Doctor Who merchandise This Doctor Who Tardis Mega Mug is the perfect gift idea for keen Doctor fans. 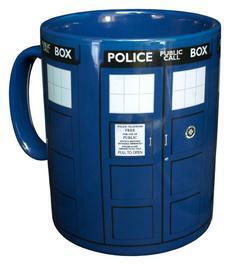 This mega mug holds 900ml that's three times as much as a regular mug! Great for coffee tea soup and breakfast cereal.